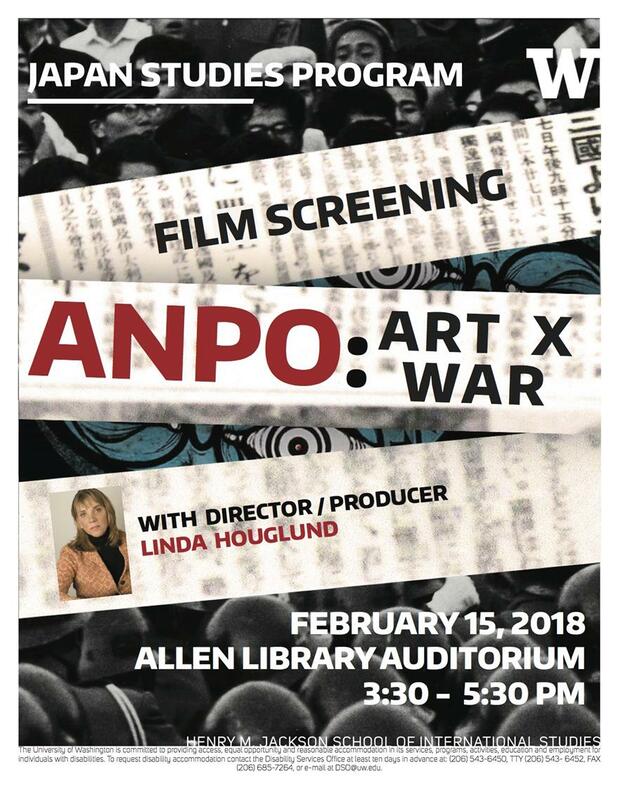 Thursday, Feb. 15, 2018, 3:30 – 5:30 p.m.
ANPO: Art X War is a feature-length documentary film that reveals the untold story of resistance to U.S. military bases in Japan, told through a treasure trove of paintings, photographs and films by Japan’s foremost artists. Linda Hoaglund is a bilingual filmmaker, who has directed and produced four feature-length films: Wings of Defeat (2007), ANPO: Art X War (2010), Things Left Behind (2012), and The Wound and The Gift (2014). She has also subtitled 250 Japanese films, including Seven Samurai by Kurosawa, and Spirited Away by Miyazaki.